complete range of Security Solutions in Oman..
IPEC possesses experience from major, complex technology driven projects involving a high degree of innovation by supplying Fire and Security Systems in Oman. We are quality based firefighting equipment suppliers and trusted fire & security contractors in Oman. 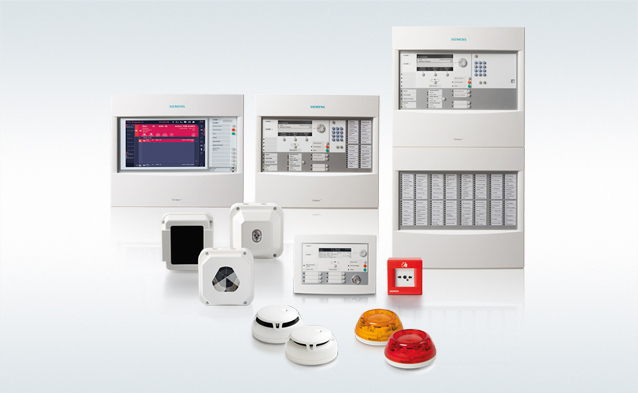 We are one of the best fire & security equipment suppliers in Oman. We strive to become the preferred provider of integrated security solutions in the markets we serve and a valued full service partner to the customers we support.. Exclusive range of Fire Alarm System responses indicates the facilitates supplementary warning for smoke detectors installed in closed spaces..
Fire/ Smoke Detection System quickly identify a developing fire and alert building occupants and emergency response personnel before extensive damage occurs..
We offer these fire extinguishers with hand-held cylindrical pressure vessel that contains an agent which is discharged to extinguish fire. Our security cameras offer dependable remote surveillance functionality that satisfy your security needs completely. Building comprehensive perimeter security system solutions involves bringing together components that address current gaps in protection and provide solid perimeter security solutions . The Burglar Alarm Security System detects the entry of unauthorized persons and gets activated to prevent any damages..
We are one of the best security systems suppliers in Oman. IPEC is focused on Security Solutions assisting clients to identify and mitigate security challenges.. Address : 2nd Floor, Trade Centre Building PO Box : 902, PC: 117 Ruwi, Muscat, Sultanate of Oman. Ipec Oman © All Rights Reserved - 2019. Designed by Mars Web Solution.